Summer is not for lazy ones, customers are always ready to buy, so it’s high time to make changes and go in new season with new powers. What is this all about? 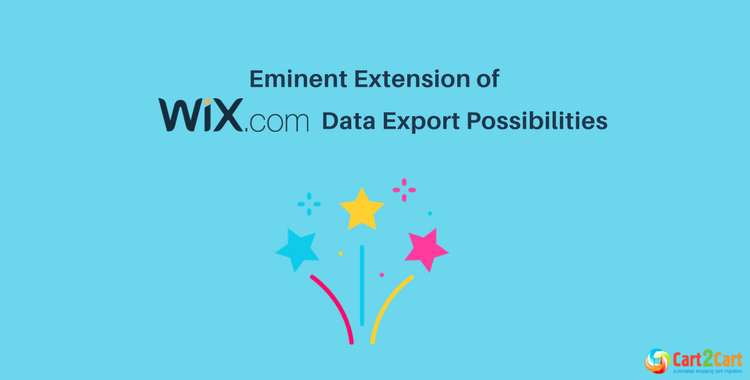 After introducing Wix migration, which caused so many buzz and wishes of store owners to switch to other eCommerce solutions, we decided to extend Wix data export possibilities for you. It’s just to be sure, that during this summer your will surely gain new clients and boost profit! Regarding the wide range of website builders, Wix seems to be a very user-friendly solution. This shopping cart is easy to start with: you need only few minutes to register, select the appropriate template and start adding with content your store. All these don’t require any tech skills or software to download. Wix is a perfect choice for newbies, who just start selling online, through for more experienced store owners it may seem as the platform with quite limited eCommerce functionality and customization options. If you are satisfied with what you have, there is no reason to move Wix to another host. But, if you want to grow your business, strengthen it with advanced functionality and gain high Google rankings, the most efficient way will be Wix data export to more robust solutions. Wix data export via Cart2Cart doesn’t require any programming skills or developer’s help. All your eCommerce data will be securely and accurately moved to a desirable platform automatically in few hours only. What is really important, Cart2Cart guarantees you 100% Wix store uptime during data transfer process, so continue selling with no worries. Contact our 24/7 support team via phone, live chat or tickets if you have some specific migration-related questions. If you aim your business to be among successful and profitable ones, start with Free Demo Wix migration right now, and enjoy all the advanced features and efficient tools of your desirable platform in few clicks.